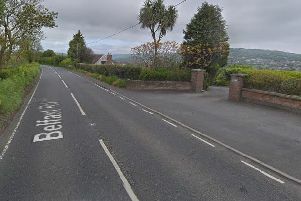 Police in Larne are investigating after a sum of money and computer equipment was taken during a burglary at a house in Larne’s Seacourt area on Thursday May 5. According to reports, entry was gained to the property at some time between 9.30pm on Thursday May 5 and 2pm on Friday May 6. Detectives are asking anyone who noticed any suspicious activity in the area to contact them in Larne on 101 or Crimestoppers anonymously on 0800 555 111.